Summary: Difference Between DSL and Cable is that DSL is a popular digital line alternative for the small business or home user. DSL (Digital Subscriber Line) transmits at fast speeds on existing standard copper telephone wiring. While a cable modem is a digital modem that sends and receives digital data over the cable television (CATV) network. DSL is a popular digital line alternative for the small business or home user. DSL (Digital Subscriber Line) transmits at fast speeds on existing standard copper telephone wiring. Some DSL installations include a dial tone, providing users with both voice and data communications. ADSL is one of the more popular types of DSLs. 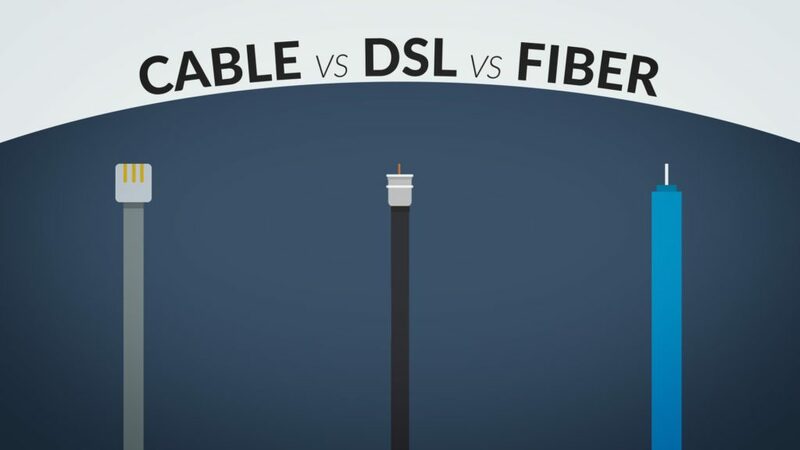 ADSL (asymmetric digital subscriber line) is a type of DSL that supports faster transfer rates when receiving data (the downstream rate) than when sending data (the upstream rate). ADSL is ideal for Internet access because most users download more information from the Internet than they upload. A cable modem is a digital modem that sends and receives digital data over the cable television (CATV) network. With more than 110 million homes wired for cable television, cable modems provide a faster Internet access alternative to dial-up for the home user and can have speeds similar to DSL.